Provide comfort for the family of Linda Hunter with a meaningful gesture of sympathy. 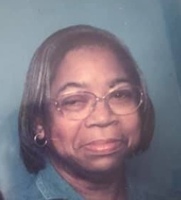 Mrs. Linda Faye Hunter, 69, of 216 Forest Hollow Drive, departed this life on Thursday, March 28, 2019, at Iredell Memorial Hospital. She was born in Iredell County, on February 6, 1950, and was the daughter of the late Jason Burley Hunter. 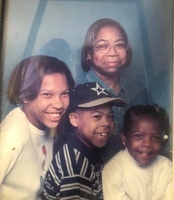 In addition to her parents,Dimple Singletary Hunter, and the late Jason Burley Hunter, she was also preceded in death by a daughter, Faye Michelle Hunter, and a sister, Barbara Sanders. Linda was a member of Holsey Memorial CME Church, where she served on the Steward Board and sang in the choir. She was employed with Uniglass Industries for 20 years in the Weaving dept, where she retired. Mrs. Hunter loved her grandchildren and her church family. She will truly be missed. 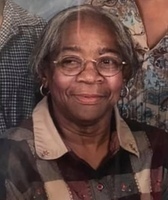 She leaves to cherish the memory of her life in addition to her mother, Dimple Singletary Hunter, two sons, Burley L. (Freida) Hunter of Statesville, and Paul Timothy (Vikki) Hunter, of Stony Point; one sister, Pamela Mitchell Hunter, of Statesville; seven grandchildren, MaKuittia (Reggie) Strickland, Brandon Hunter, Tia Hunter, Jaron Hunter, Aaron Hunter, all of Statesville, Ashleigh Hunter, of Greensboro, and Samelia Hunter of Stony Point; one great grandchild, Kaclen Hunter Strickland of Statesville; special family member, Richard (Patti) Cassed of Statesville; a host of other nieces, nephews, cousins, and other relatives, and friends. A Celebration of Life Services will be on Thursday, April 4, 2019, 1:00 pm., with Reverend Barbara McCullum officiating. 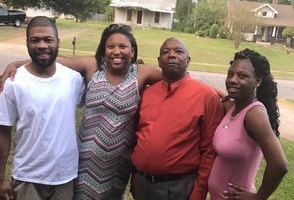 Members of the family will receive friends at the church from 12:30-1:00pm, but will assemble at the residence, 216 Forest Hollow Drive, Statesville. Burial will follow in the Belmont Cemetery, Statesville. Visit the Book of Memories for Mrs. Linda Faye Hunter at www.rutledgeandbigham.com. Rutledge and Bigham is serving the family of Linda Faye Hunter. To send flowers in memory of Linda Hunter, please visit our Heartfelt Sympathies Store. Provide comfort for the family of Linda Hunter by sending flowers. 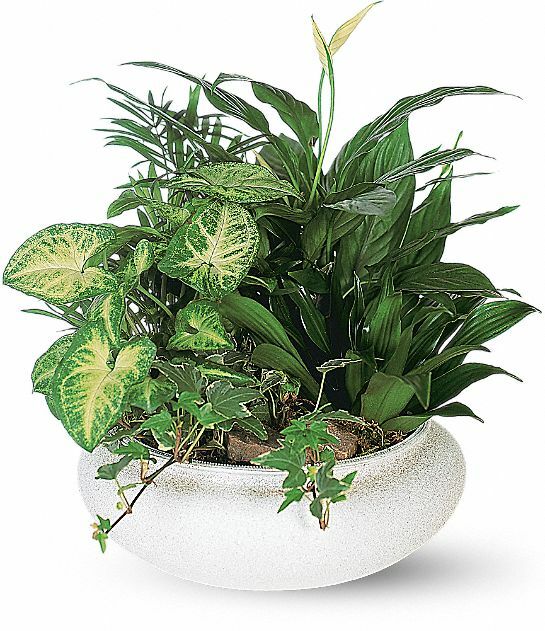 Heartfelt Sympathies Store purchased the Medium Dish Garden for the family of Linda Hunter.